Canada has a rich history of academic excellence. It is a smart choice to pursue your higher education if you are an interactive person. Almost every ethnic group is represented in Canada thus making it a multicultural society. Language barrier is not an issue to foreign students as Canada is considered the world's leader in language training. Canada provides a peaceful, safe and diverse environment to students, as well as an excellent working conditions and learning atmosphere. Canada is a North American country consisting of ten provinces and three territories. Located in the northern part of the continent, it extends from the Atlantic to the Pacific and northward into the Arctic Ocean. Canada itself is full of famous tourist attractions, such as the powerful Niagara Falls, the huge CN Tower, Toronto Zoo, the beautiful Glacier National Park, the equally gorgeous Banff National Park, and the imposing Canadian Rockies, to name a few. 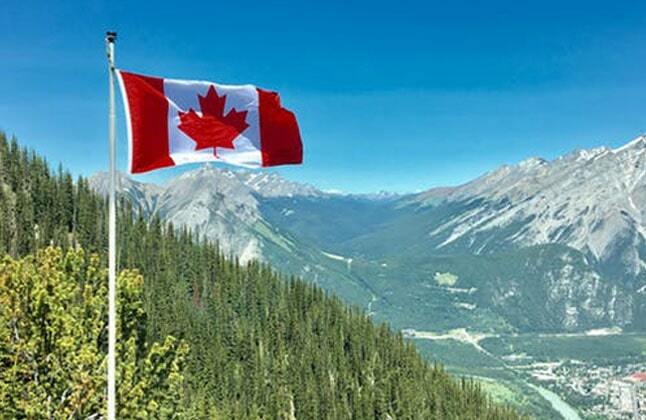 Canada has two official languages - French and English, so study in Canada is the perfect opportunity to add another language to your repertoire, which is vital in the business world and at the same time a huge advantage. Studying in Canada offers great value for money in terms of tuition fees and living costs. Estimated living expenses per month are around CAN $400- 800, but obviously you can live on less or more than that, depending on the way you choose to spend your time. As far as course fees are concerned, expect to budge around CAN $6000 to CAN $17,500 per year for undergraduate courses, with graduate courses coming in on average from CAN $6500 to CAN $33,000 per year. International students are expected to start planning for their studies in Canada 1 year in advance. The major intake for Canada primarily is fall i.e. September, The other intake is in month of winter' i.e. January, but it depends on the students program and the institutes that he/she is applying to. Very few institutes might have the May intake as well. A pass with high second class in HSC in required for admission to diploma courses in Canada. All students must be fluent in English if they are applying to Canadian institutes. International students need to reach the required level of English language competence. All students should take up the IELTS or TOEFL (ibt) exams. An IELTS band of 6.0/6.5 for Undergraduate and 6.5/7 for Postgraduate courses or a TOEFL score of 80 and above for undergraduate and 90 and above for Post Graduate courses is desirable. A diploma is a higher education programme that provides advanced knowledge and practical skills learning in a specific career field. Diploma programmes usually last for one to two years. Community colleges, technical schools and some Canadian universities offer diploma programmes for a diverse range of students. There are a variety of diploma programmes on offer in Canada ranging from arts to tourism. In animation, the 3D Modelling Animation and Design programme prepares graduates for careers in a variety of CGI based industries. Graduates of the programme will find employment in computer animation studios, game, development companies, post production and special effects studios. In addition to series of both classical and digital animation courses, the curriculum of Classical and Computer Animation and Production Diploma includes in-depth drawing classes, cartooning and acting for animation, character design, background painting/design, and a sequence of visual languages, storytelling and storyboarding courses. In year 4, students participate in simulated production experience directed by an industry professional. Diploma programmes in Graphic Design, illustration for Sequential Arts, Digital Filmmaking and Fine Arts are popular among international students seeking admission in arts subjects in Canada. Other streams include aviation, biological and life sciences. Diploma programmes are also available with specializations in accounting, administration,business,business administration, business intelligence, communication, customer Relationship, e-Business, finance, healthcare management, human resources, international Business, international trade, management, marketing, real estate, sales, taxation, cosmetology, energy, engineering and technology, fashion, food and beverage studies, health studies, humanities and social sciences, law and regulations, natural sciences and tourism and hospitality. After completing a course in Canada you can stay and work for upto 3 years. You can also work part-time during your studies; making it easier to get great work experience, and save money. Be aware that an application for international study can be a slow process, and can take up to 7 weeks processing time. You need to be making your decision and getting your application off as soon possible. The visa you need to apply for is a student visa, or study permit, and you need your offer of acceptance from your chosen Canadian education institution to be able to kick start this process. You'll also need your application fee, evidence that you are able to cover yourself financially during your time, such as to pay for tuition fees and cover day to day living costs, as well as a ticket home and a clean record in regards to criminal history. What Edwise Students Studying in Canada Says. "Edwise counselors made my visa processing a hassle free experience. All thanks to them." "Overall experience with Edwise was good. I was guided and helped by the counselors which made it very easy for me to go through all the process. Thanks to Edwise."